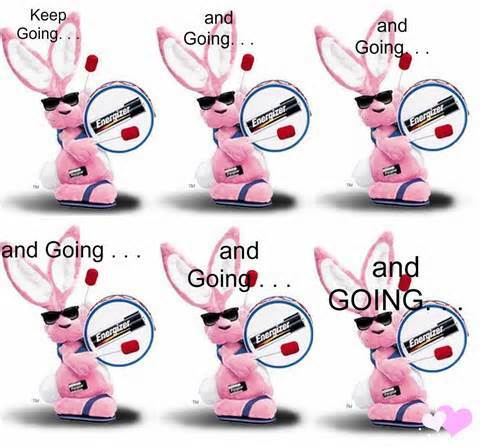 What does pH Balance and the “Energizer Bunny” have in Common? Inflammation and Acid pH Balance. 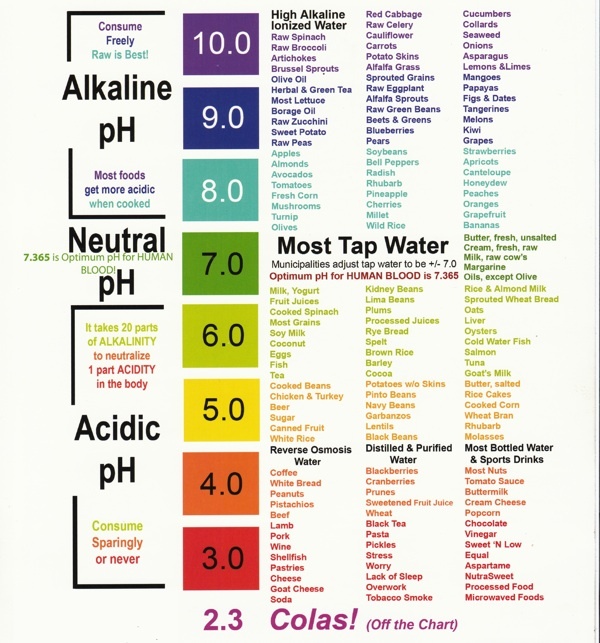 I have learned a great deal about pH and its tremendous value to good health. An acid balance means inflammation which develops into an illness which then develops into life threatening. An Alkaline balance means health and the regaining of balance and living life pain free and well. With all the energy of the Energizer bunny. The alkaline battery is a perfect example of how the scientific and universally accepted pH measurement scale is used. pH is a vital measurement which is used across the chemical, beverage and food industries, pharmaceutical, scientific , and yes, in the world of medicine. Your local farmer is deeply involved with the pH of his soil to determine which crops grow best and where. Your body automatically fights to keep the pH levels balanced. Acidosis – Is an increased acidity in the blood and/or other body fluid. It is an increase of hydrogen and a decrease of oxygen. pH balance below 7. Alkalosis – For our purpose it has the same effect on the body as Acidosis. Metabolic Acidosis – Is a condition when the body pH balance is acid or below 7. Another term used for it is dehydrated. 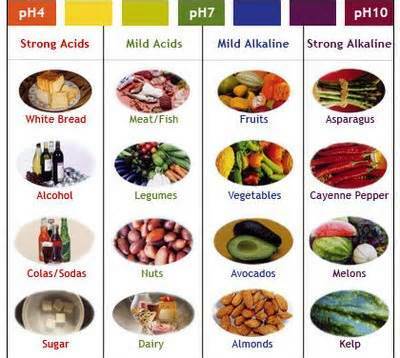 pH is an acronym for “potential of hydrogen” is a value that indicates the acidity or alkalinity of a liquid. The measurement of the hydrogen ion concentrate in a liquid determines the pH value. Every liquid has a pH value which falls on a scale between 0 and 14, with 7 being neutral. 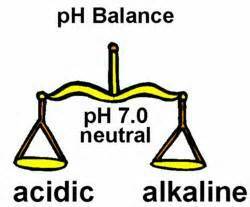 A pH value less than 7 is acidic; values greater than 7 indicate alkalinity. Acid eats away and Alkaline builds. So what is an example of an acid? 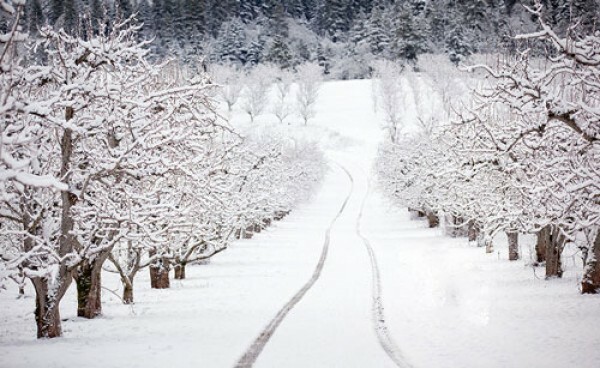 If you live in the northern hemisphere or where ever it has been snowing and the temperatures have taken a tumble below freezing, you only need to look outside at the snow and the plowed road. Road salt or Rock Salt is used to melt the ice away. Road salt is an acid. I am not a chemist, doctor, engineer or scientist and as I remember I even failed High School chemistry but I was eating using the pH scale and not even knowing it. Even though it sounds complex and is difficult to put down on paper, it isn’t for your body. The human body doesn’t need much. It doesn’t need a pile of complex science created and very expensive drugs. All it really needs is God’s blessing and some good old raw natural food. I let my body tell me how to get well; I just had to learn how to listen. The solution to getting well was very simple. I may not have the complete story, but I have my story. This is a quick review of what I have covered in my past articles. I have attempted to find pictures that give illustrations of what I have learned. Your body gets its energy from the food you eat. It converts food to energy using chemistry. Parts of your body use fluids with an acid balance to break things down like your stomach and colon. Other parts use an alkaline balance to build things up or create energy. To convert food to energy, the body needs oxygen and oxygen needs an alkaline balance. Acid hates oxygen and destroys it, for that is how it breaks things down. 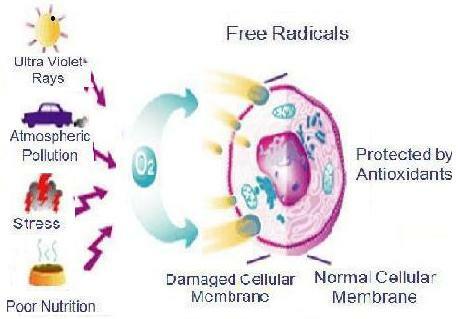 This process is called oxidation using free-radicals to remove the oxygen from the atom. 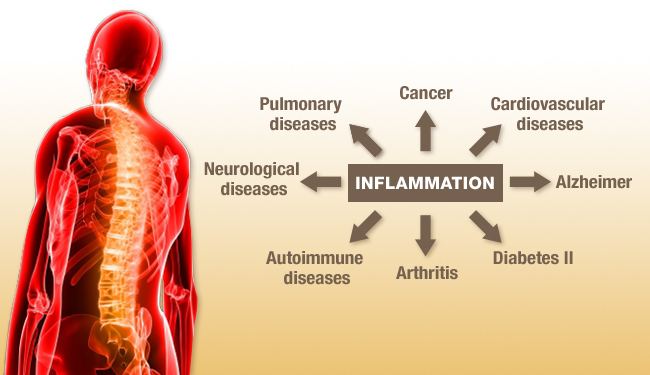 Inflammation is you body’s response to injury or the damage done to the cell walls by free radicals. You cut your finger and it becomes red and swollen. This is the healing process. (NaturalNews) “Persistent, systemic inflammation is at the root of practically all known chronic health conditions, including everything from rheumatoid arthritis and high cholesterol to dementia and cancer. Free radicals – are needed in an acid balance like in your stomach but for the rest of your body free radicals destroy healthy cells. The antioxidants found in natural food help protect your cells from oxidative damage or loss of oxygen. Antioxidant – Found in natural unprocessed food. Antioxidants provide the electrons that free radicals destroyed. An Antioxidant inhibits the cell destructive effects of oxidation. Antioxidants stabilize cell membranes by plugging up the holes in the cell walls that the free-radicals created. Battery Acid value is low 1 and Baking Soda is high 14. In order for you system to create ATP in the cells mitochondria, your overall body pH is needs an alkaline balance. This balance means there is enough oxygen to keep the cells energized and alive. Acid like the rock salt eats and breaks things down. And guess what also is highly acidic? An acid balance loves sugar and hates oxygen. CRITICAL: OXYGENATION – pH BALANCE ALL CANCER BODIES are oxygen depleted, highly acidic, and like sugar just like arthritis, bacteria, cancer, diabetes, decreased energy, inflammation, infection, fungus and yeast overgrowth. Acid and Sugar hate oxygen and destroy any they can find, alkaline conditions love oxygen and promote good health. Your body is constantly maintaining the blood pH of the narrow range of between 7.36 and 7.44. If this balance cannot be maintained, the body will begin to break down and die. The body will stop at nothing to maintain this balance and it will take what it needs from other body tissues and buffering systems. It will start taking calcium and other alkalizing minerals from fat stores, muscle and bones to neutralize the acid in the blood. That is why many say arthritis and osteoarthritis is cause by an acid balance. Over time, the body keeps burying the unbalanced acid and it slowly builds up in the tissues. Sign are allergies, colds, flu, inflammation, and rashes. If the process continues the cells begin to suffer from a lack of oxygen and begin to die. If this process continues, eventually chronic degenerative disease, and then death, will occur. Note also, fungus, molds, parasites, and yeast thrive in an acid balance they feed on our body’s proteins and fats and deposit toxins. If not kept in check the toxins will overrun the body and organ breakdown and disease is the result. I have included the videos below to help further understand pH balance but also recommend it not to be taken too seriously unless there is a major sickness. You should still pay attention to the benefits of an Alkaline balance and understand your body’s life or death struggle to keep it balanced. Help it along and stop eating acid generating foods. Now how do you go about learning your body’s pH? Pain is the first indicator – Pain is a sign of your body calling out for oxygen. Your body’s muscles are full of acid and need the alkaline effect of oxygen. Other symptoms of unbalanced pH, include headaches, heartburn (a burning sensation in the stomach and acid-tasting burps), bloating, belching and stomach cramps discomfort and pain. This pain may even radiate to the back. Mouth sores and sensitive gums. This is normally called gastroesophageal reflux disease or (GERD). And skin rashes like yeast and fungus. When acid builds in your stomach it can back up and cause pressure. This discomfort and pain can be felt in the abdomen, chest and sometimes the back or to other areas. I found another great Video it explains in great detail, the Signs you look out for to determine if your Acidic. You may or (In my case) you may not remember High School chemistry class and pH. You ran around with pH strips to test the pH of different liquids. 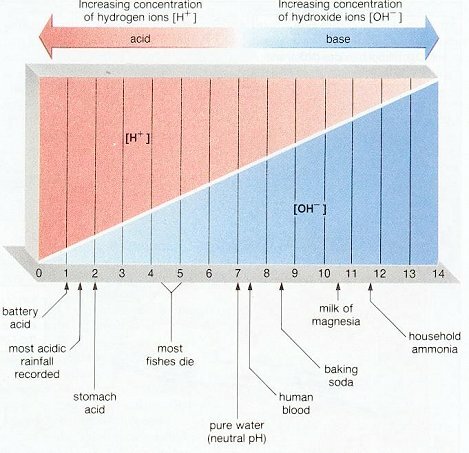 pH stands for power of hydrogen, which is a measurement of hydrogen ion concentration in the body. It has a scale of 0 to 14. Anything below 7 is considered acid and anything above 7 is considered alkaline. 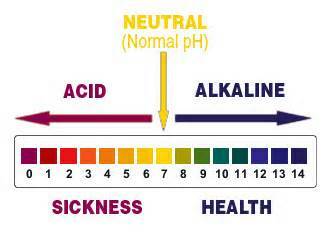 Our ideal pH is slightly alkaline 7.30 to 7.45. There are pH strips of pieces of litmus paper you can use to test your saliva or urine. For the fun of it – it would be nice to know your body’s pH. Your doctor can draw blood and also do a urinalysis. You can get pH test strips and measure your own saliva and urine. Be very careful for this is not the most reliable test. It is better for professional blood work and paying attention to how your body feels. But my warning to you is, you will be very lucky if your family physician will talk to you about the value of ‘pH balancing”, emotional wellbeing, illness or even for that matter how you feel. Your friendly doctor spent most of his time learning about drugs than nutrition. Most people including physicians, aren’t familiar with the dangers of acidosis except in extreme cases (like organ failure). Most people do not even think of looking toward nutrition to help correct an acidosis condition. You will have to do that part all by yourself. The idea of balancing acid and alkaline food has somewhat of a checkered past. There is an alkaline diet which is said to create a higher pH in order to correct acid-formed conditions like inflammation and illness. The diet has had many misconceptions of human body physiology and in many cases recommended poor un-nutritional food choices . It gave people a false sense of how the body works. For example, citrus fruits – which are acid by nature – actually have a ‘alkalizing effect’ on the body. Yet, the Alkaline Diet isn’t all bad, it does have some truths about food basic balance and how it can influence your body. The only one who knows the real story is your body. You have to learn from it. What you eat may or may not affect your body’s pH balance. There are many other factors like stress that can change body pH. But food does contribute to this balance. pH balance of some basic food groups. The world is full of charts and books listing the balance of foods but use them with caution. I have found most foods classified as superfoods, have an alkaline balance. Eat foods that are as raw as possible and, of course, avoid anything processed. In other words, eat food that is grown in the ground that is as close to your home as possible and don’t eat food that is created in a lab. 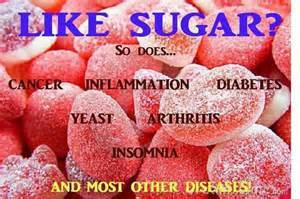 Your body can only digest natural nutrients the rest it converts to sugar which has an acid balance. Remember acid hates oxygen and alkaline uses oxygen to energize the cells. I have also found the body’s taste buds to be extremely helpful. The taste of sour and bitter reflect alkaline balanced food. There are many charts available in the net, just enter pH Chart in a search engine. You need to go further. These terms are only to give you something to get started with. pH balance is an important indicator of health, It is not the final word. pH test strips are available and you can test your urine and saliva over a 10 day period. If you have acidosis there are some basic foods you can eat but getting away from sugar is a good start. This probably raises more questions than answers but at least I have given you terms to look up. I have been using trial and error to regain my strength but the first step I took was to take charge. No one else was going to help me. I recommend that you also decide to take charge of your own health and begin research on healthy eating. I have provided terms you can use to make your search I hope a little easier. The Canary and Chronic Fatigue by Majid Ali, M.D. Have you heard of the German New Medicine? If you are still in a learning mode German New Medicine might give you some additional helpful data. Forgot to mention that I like your article and the time and effort you went to before you presented it here. Thank you. I can always use a good reminder of why I’m eating raw fruits and veggies. No I have not heard of any new medicine. I am almost all natural and don’t really hold out any hope for anything close to healthy medicine. All medicine inhibits enzymes which just stalls and covers up the problem making it get worse or move to something more serious in time. The problem does go away for a small amount of time but either comes back stronger or becomes something else. Good with the raw stuff. I am amazed at how much strength and youthful feeling I have regained. I read it and I am amazed what nonsense people can write on internet without any form of second thoughts. Or just checking simple facts. At first sight it might to seem legit, and than you look at it and what the… ? First link from the bottom – http://www.keepingalive.com/arthritis.html – healthy cells burn glucose and produce carbon dioxide, thats true. But unhealthy cells, which do not have enough oxygen produce carbon monoxide? What idiot wrote that? In case of low oxygen level cells will produce lactic acid, which will be further converted to carbon dioxide when oxygen concentration will be sufficient. Body will remove excess of lactic acid from body in few minutes after excessive physical effort have ceased (which is the main cause of temporal decrease of oxygen concentration). PS. I think that more than 90% of fruits and vegetables have rather acidic pH (something like 3-4, some citruses can have have even lower). While sugar is almost perfectly neutral (concentration of sugar have no effect on pH of water). PS2. I just checked with pHmeter, my tap water have pH of 4.7, while bottled spring water have a pH of 4.3!!! Do you think that I should call to authorities? Oh wait, that’s completely normal because there is carbon dioxide dissolved in water which is in balance with carbonic acid. Through my over 10 year experience in R&D in chemistry I have only once saw a pure water that had pH of 6.9 – and this was ultra pure water that went through double deionization and distillation, and this was only for few minutes, because after that it went down to 5 because of carbon dioxide absorption. Thank You for your comment. The link your refer is from my list of references. I must of used some of the information in the article but certainly not all nor do I agree or disagree with it. pH may be thought of as an exact measurement but I also haven’t found any perfection and warn that too much concern of pH can be very misleading. Again thanks for your concern and comment. « Oh the bitter lemon how sweet it is!